Through the "Hailiang Eyas Flying Project", Hailiang Education Group created scholarships for 190 students. These students come from across the country and live in the 5-Star Hailiang Happiness Garden built with donations from the Hailiang Group amounting to over RMB 25 million. The students study at the schools in Hailiang Education Park. Hailiang supports their study from kindergarten to senior high school as well as further study if they pass college entrance exams. The educational financing will not end until the students get their master's degree. Today, Hailiang Education Group is searching for students to help nationwide. It enrolls about 30 students each year, provides them with care and support in their studies and daily life, and allows them to grow in a healthy and happy manner. 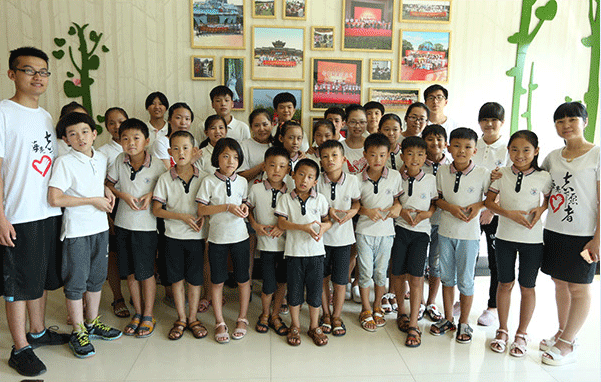 Hailiang Education Group enrolls about 30 orphans each year. Hailiang Education Group has raised 190 orphans through the "Hailiang Eyas Flying Project". 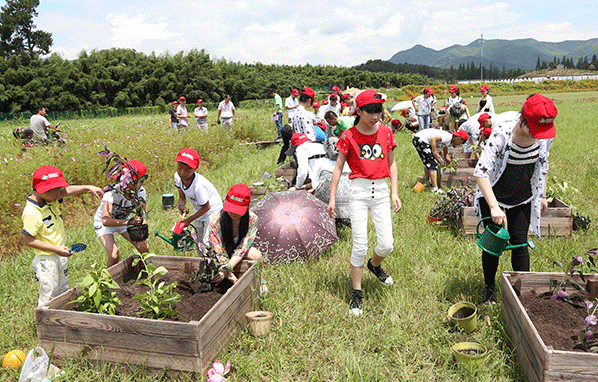 Hailiang Group amount to over RMB25 million to built the "5-star" Hailiang Happiness Garden. Cao Xinzhe came from Delingha, Qinghai Province. Losing both his father and mother at a young age, he did not have the support he needed to attend a school. At 15 years old, he came to Hailiang. Now, he is a student at Grade 3 in Tianma Experimental School. He studies dilligently and always places first in examinations. He distinguished himself with his outstanding performance in the 2017 Senior High school entrance examination and was ranked second in his class. He was awarded "Merit Student" from the school. He gets along well with his classmates, respects his teachers, and has strong cooperative spirit. Cai Dan Zhuo Ma came from Delingha, Qinghai Province. At 15 years old, she came to Hailiang. Now, she is a Grade 1 student at Zhuji Private High School. In the eyes of the "caring mothers" of Hailiang Happiness Garden, she is independent, cheerful, and ready to help others. She is good at singing and dancing. She is eager to learn and self-motivated. She actively participates in literary and artistic activities and competitions held by the school and Hailiang Group. She won third prize at the "Voice of Hailiang" Singing Competition. She also performed at the Zhuji Private High School’s "Star of Etiquette". Liu Chao came from Hinggan League, Inner Mongolia Autonomous. Both his parents passed away. At 13 years old, he came to Hailiang. Now, he is a Grade 3 student in Tianma Experimental School. He loves sports, especially basketball. He actively participates in sports and competitions. He won the championship at the Hailiang Happiness Garden Sports Competition. He is certainly a team player. With excellent academic performance, he won the title of "Merit Student" from the school.